I hope that everyone enjoyed their weekend and had a chance to participate in some of the festivities for National Scrapbook Day if that was on the agenda. I was pretty productive considering the weather was gorgeous and the hubs and I wanted to enjoy that as well. I had almost forgotten that I needed to make cards for my dad's birthday and for Mother's Day, so that was first on my list. For my Mother's Day card, I cut the patterns from 2 Project Life cards in my April Studio Calico kit and then used washi tape to adhere them together. From there it was just a matter of stamping my sentiment and punching out a couple of shapes. I felt it needed a little more stamping so added the little row of hearts at the top and put an enamel dot on the butterfly to finish it off. I only had a few Project Life cards left from my March kit and this one was a favorite. Turning it into a birthday card for my dad wound up being the perfect way to showcase it. I used watercolors for the stamped sentiment as well on the wood veneer pieces. I had forgotten that I wanted to sprinkle some mist droplets before adhering everything and went ahead and did it after the fact. You can see that I didn't do a good job of covering up everything and got some on the yellow star. oops! LOVE those cards- my fave is the birthday one- very cool and awesome! great for anyone! Such a great way to stretch your PL cards, Elise! I'll have to remember this. 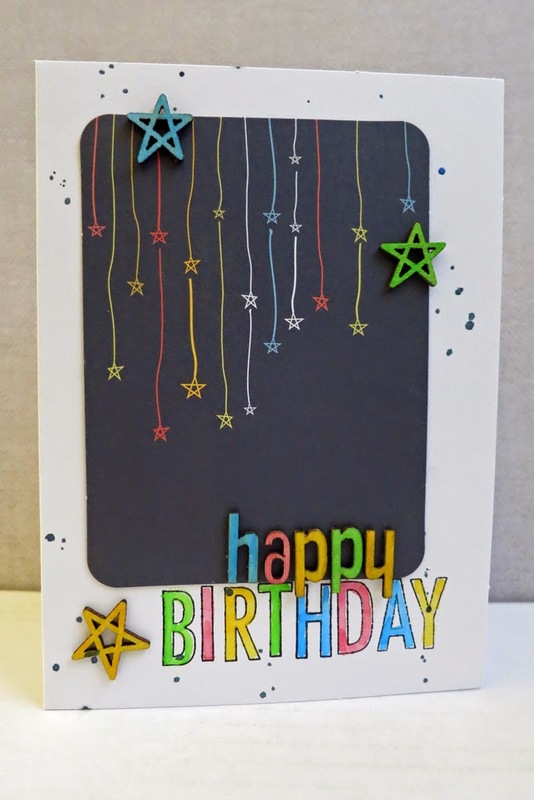 Love how your cards turned out, especially the trail of stars on the birthday card. Such cute cards. I love the birthday one! Love repurposing PL cards since we all seem to have our fill of them. The cards turned out beautiful Elise. 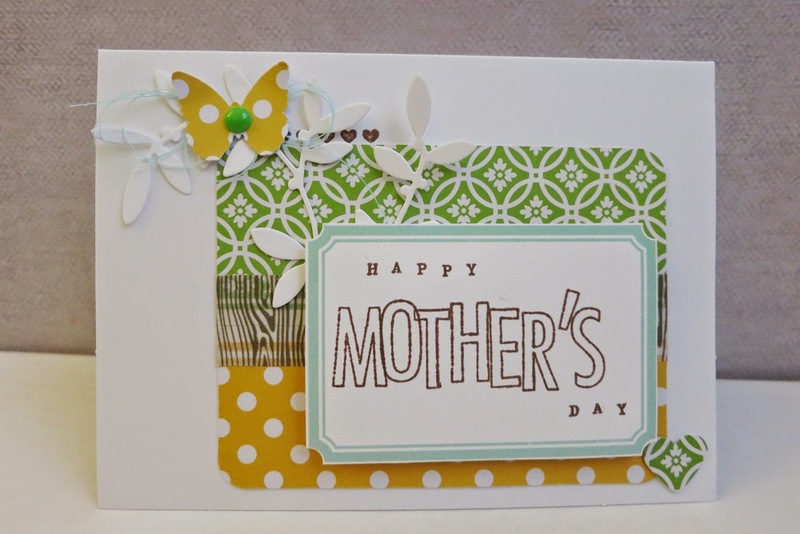 I love the Yellow/Green color combo and the birthday card is so festive looking, both sure to be a hit I am sure. Great father's day card as well. Great use of those PL cards. Love the mother's day card! I like the touch of washi tape on it. And I really love the card with the falling stars! Beautiful cards with great color palettes ! These are both fantastic! Great use of colors! !